It was back to school this week for the kids, after a half term break away. Their blue uniforms match the bike perfectly. 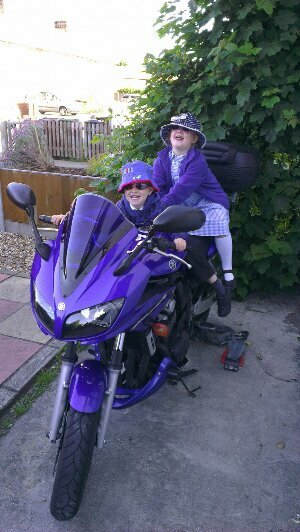 If only I had a pair of mini helmets, the school run would be so much easier.